Interview with a Christian answering 6 simple questions about their journey of faith. Today it is Sharon - a Chinese believer. Tomorrow we will hear her testimony of faith. How should individual Christian disciples react in regards to a life of Discipleship in an age where church attendance is rapidly declining? It is by being a radical community of radical individuals, which will help stop this decline. The Church needs Christian disciples to be living a radical Discipleship, engaging with the culture, counting the cost of Discipleship and reflecting true humanity while not compromising core beliefs. Firstly, the church needs to be a community that is seen to be radical by the surrounding society. At Pentecost, the church began when the Holy Spirit filled the Disciples (Acts 2v4). This momentous occasion started the Discipleship process of how Christians were to live as God’s people. The hallmarks of this community were commitment and transformation. This community was radical. It was where people’s lives were being changed as the Holy Spirit filled them. Instead of being a withdrawn people filled with fear of retribution from the Roman government and Jewish leaders, they became a people filled with boldness and joy. The New Testament church grew by being a radical community imbued with radical individuals engaging with others. Today’s church will grow by building a strong community. A community which involves joining together isolated and solitary individuals where people are imbued with love, showing care to each other, particularly the frail, elderly and young, with what Moltmann calls a “creative passion for the impossible.” An inherent human need is the need to belong, and by fulfilling relational needs, the radical community will become relevant to the people within it. It will then also become relevant to those who are on the outside and looking in. This involves improving present societal conditions, rather than remaining a conservative community, which merely repairs the status quo. In doing this, today’s church will be emulating characteristics of the early church (Acts 2v44-45). As individuals became Christian disciples, they were added to the church. Discipline helped ensure that the community was being seen as a holy community. To be excommunicated from the community for gross sin was a severe punishment. However church discipline is not primarily about punishment, but rather a “formative and corrective” service as part of Discipleship. Church discipline is foundational to Discipleship making, because it concerns the community’s spiritual health, and strengthens the community bonds. The church must be a community of Disciples, willing to be holy. It is by being holy, that the church will grow. The role of the community engaged in radical Christian Discipleship is to help people to be holy and not merely happy. Happiness will flow from holiness, but holiness will not necessarily flow from an induced ‘feel good factor’. The radical community needs to be making Christian Disciples who are trained, equipped and developed in order for them to make Disciples themselves. Whereas in the past, Discipleship processes and programmes have emerged after people have joined the church, it should be foundational. The best way is for the leadership to set the example, and show a way forward. Good leadership has good accountability to each other and to the whole community. A radical community requires radical discipleship. Radical discipleship commences with compassion, similar to that of Jesus when he looked over the crowds, and commented that they were like sheep without a shepherd (Matthew 9v36). It should be a compassion driven like that of Jesus towards the woman at the well (John 4vv1-26). With compassion as motivation, and a contrite heart, the radical church community can reach out to those emerging who primarily see Jesus and the church as irrelevance. A radical Christian Disciple needs also to involve the voices of others by engaging in dialogue with trusted others. This will involve having a diverse team in the Church who are both willing and empowered to give advice. This team will require an individual leader to have relaxed grip on control, with power delegated to others, which is radical in that it goes against current strains of leadership. This radical leadership style requires a pursuit of relationship in order to work, rather than a pursuit of aims and outcomes. This will enable trust to form and helps establish the community on a firm relational foundation. Once relationship has been formed, then the spiritual gifts of the Christian disciple can be used in order to serve the community. By exercising gifts and being functional enables the Christian Disciple to grow, be used by God and to flourish with confidence and support. Radical leadership and radical Christian Discipleship encourage the fringe members. Finally, Jesus recommends that Christian disciples be wise like serpent and innocent as doves (Matthew 10v16b). The means Christian Disciples are to be skilful and shrewd in making decisions that are characterised by intelligence, patience and cunning. Additionally, Christian Disciples are to be gentle and harmless, like doves. This would make Christian Disciples and leaders who are accountable to live a life of integrity worthy of the gospel (Philippians 1v27). This is a life, which is seen to be as holy and blameless. In order to do this, dependence on the Holy Spirit for strength and care is a vital necessity. By relying on the Holy Spirit, the Christian Disciple is perpetually connected to Jesus Christ, who is after all, the Head of the church community. The Christian Disciple is to be a shepherd leader rather than a manager, so that guidance and nurture are central, rather than merely feeding the community. A Christian Disciple who cares and loves is one who goes out to find the lost rather than waiting for the lost to come. This shepherd is also involved in the training of other Christian Disciples so that care is disseminated. This does not mean however that a radical Christian Disciple leader becomes a subordinate to the community, catering to every whim and fad suggested by others. The Christian Disciple leader needs be a servant but also requires discernment. Discipleship at most churches these days is organized around their programmes of small groups, Sunday services, prayer groups, leadership group and opportunities to serve. Discipleship in these churches usually involves some form of leadership accountability in four key areas: Mission, Maturity, Outreach and Leadership. Mission involves helping people become Christian and nurturing their faith diligently. If Western churches and Christian disciples started to take radical steps, both in being and making Christian Disciples, then growth would systematically increase. The Church would no longer be seen as irrelevant but as a thriving community where Jesus is glorified and transformation sought. For more to think about please do read Acts 2v42-47. Ask yourself the following questions, writing them down if you can, and see how you respond or react to them. Then why not share your answers with your spouse or a close friend, so that you can pray over any issues together. Q1. How, and in what ways, were the early church community creative? Q2. What creative ways can I serve the community I live and work in? Q3. How can I help my church be more relevant in the community, without compromising? Paul writing in the Book of 1 Timothy 6:6-10; 17-19 "A devout life does bring wealth, but it's the rich simplicity of being yourself before God. Since we entered the world penniless and will leave it penniless, if we have bread on the table and shoes on our feet, that's enough. But if it's only money these leaders are after, they'll self-destruct in no time. Lust for money brings trouble and nothing but trouble. Going down that path, some lose their footing in the faith completely and live to regret it bitterly ever after. Tell those rich in this world's wealth to quit being so full of themselves and so obsessed, with money, which is here today and gone tomorrow. Tell them to go after God, who piles on all the riches we could ever manage-to do good, to be rich in helping others, to be extravagantly generous. If they do that, they'll build a treasury that will last, gaining life that is truly life." There are generally two main opinions in the West regarding money & material possessions. Now the first of our big two is the prosperity doctrine, which stipulates that since as Christians we are children of the King, then we should be living like kings in the physical sense. If you are God's child, then God will bless you so abundantly you will have that earthly mansion, a million pounds in the bank, a good wife or husband and children, if only you follow him. And if you don't receive these things, then maybe you should be asking for forgiveness, because apparently you are not a child of the King. What a load of rubbish! It is just materialism in another disguise where possessions and material things are their gods and not the living God. Its very source is pride, and not humility, because they proudly proclaim "I am first, and everyone else is last". I defy anyone who believes this prosperity doctrine to take a trip to the poorer areas of the world and tell that false doctrine to the leaders of the churches who are working faithfully in those areas. I guarantee you would cause more harm than good. That is not to say that God never blesses His children with material possessions, because He does - the Old Testament King Solomon is a prime example of this. In the Bible passage I read earlier, Paul commands Christian Disciples to be content with godliness. We came into this world with nothing, and we will leave this world with nothing (v6). The bare necessities for contentment of life are food, clothing & shelter (v7). However, we could, with justification say that some other things are also necessary. Cars, books, and computers may with some justification to ourselves as individuals, be a necessity. That is up to our own individual consciences. But what we need to do, when considering purchasing items is, not to ask "Can I afford it?" but rather "Can I justify it, and could the money be better used elsewhere?" There are many Christian organisations that need money to continue operating. Perhaps, the money I was going to use for the trip overseas, could be of better use elsewhere in the kingdom of God? Further on in Chapter 6, Paul states that we are not to desire riches, lest we fall into the temptation of coveting and wander away from the faith of God (vv9-10), not to love money because it is a source of evil (v10). Everyday Christians pray that God would not lead them into temptation; and he does not, they do that quite easily by themselves. And those that are rich, are not to flaunt it arrogantly and are not to place their hopes in them (v17). Those who are rich, are commanded to be rich in good deeds, to be generous and sharing (v18), building up heavenly treasure instead of earthly rubbish (v19). I should hasten to add, that contentment should also carry with it, the idea of living simply, in sympathy and solidarity with the poor of the world. Every one of us, could to some degree, live that little bit more simply, and donating the money saved to a worthy concerned organisation helping out the poor of the world. Remember we are blessed by God, in order to bless others! The humble, say "God is first, others are second, and I come last" and puts people before possessions. The Christian Disciple is to place their trust in God alone, and not in their material possessions. It so easy to fall into the trap of saying - "If only I had that new computer; or camera; or car; or an easier job with more money?" It is so easy to say these things, and forgetting to be content with what we have. And it is even easier to forget to say thank-you to God for giving us all our good things. I would hazard to say, that probably the only time we say thank-you to God, is before the food that we eat. We hardly ever thank him, for friends and all the other material blessings He does provide and the pleasure we gain from He gives us. And that is the key to biblical contentment. "Could I really thank my Lord for this particular item I want?" For more to think about, please do read for yourself 1 Timothy 6. Ask yourself the following questions, writing them down if you can, and see how you respond or react to them. Then why not share your answers with your spouse or a close friend, so that you can pray over any issues together. Q1 - As a Christian Disciple, in what ways are you not content? Q2 - What blessings has God bestowed upon me, that I should give Him thanks for? Q3 - How can I use the money and possessions God has blessed me with, in order that He is glorified and worthy of honour, this week? The Holy Spirit is God, and a member of the Trinitarian Godhead. He is spoken of as God (Acts 5v3-4; 1 Corinthians 3v16). The attributes of God are ascribed to the Holy Spirit life (Romans 8v2), truth (John 16v13) and love (Romans 15v30). It was He who spoke through the Old Testament prophets and induced godliness (Ezekiel 36), and equipped God’s leaders for service (Judges 13v25; Zechariah 4v6). The Holy Spirit is also a Person: Some people refer to the Holy Spirit as “It”, but they are clearly wrong and in error! The Holy Spirit is always referred to as ‘He’ in the New Testament (John 16v14). He relates to us as a person for He is comforter, guide and teacher (John 14). He can be blasphemed against and be grieved (Ephesians 4v30), and wherever the Holy Spirit is, the Father and Son are also present because they are one. (John 14v18-23). 1. Glorify Christ: He will glorify God the Son, Jesus Christ (John 16v13-14) He will testify for Jesus Christ (John 15v26). He will witness for Jesus Christ (Acts 1v8). This is the Spirit’s prime role, that Jesus Christ the Son of God is praised and glorified. This would intimate that the Holy Spirit is inordinately self-effacing. When Jesus was baptized and the Spirit descended upon Him, it signified that Jesus was only filled with the Spirit but was also the Spirit-giver (Luke 4v1-18). It was by the eternal Holy Spirit, that Jesus offered Himself as a sacrifice (Hebrews 9v14). The Holy Spirit has a prime role in revelation. It was he that spoke through the prophets (Ezekiel 2v2) and it was He who inspired the Bible, God’s Word (2 Peter 1v21). Further to this, the Holy Spirit interprets and illuminates God’s Word (John 16v12-15; 1 Corinthians 2v10-16) to people! Without the role of the Holy Spirit, the Bible would simply be another book. 10. Sanctification: The Holy Spirit transforms us into the likeness of Christ (2 Corinthians 7-18). As we walk and live in the Spirit, led by the Spirit (Galatians. 5v16; Romans 8v13), the fruit of the Spirit, “love, joy, peace, patience, kindness, goodness, faithfulness, gentleness and self-control”, is produced in the life of the Christian disciple (Galatians. 5v22-23). 11. Baptism: This expression occurs 7 times in the New Testament. 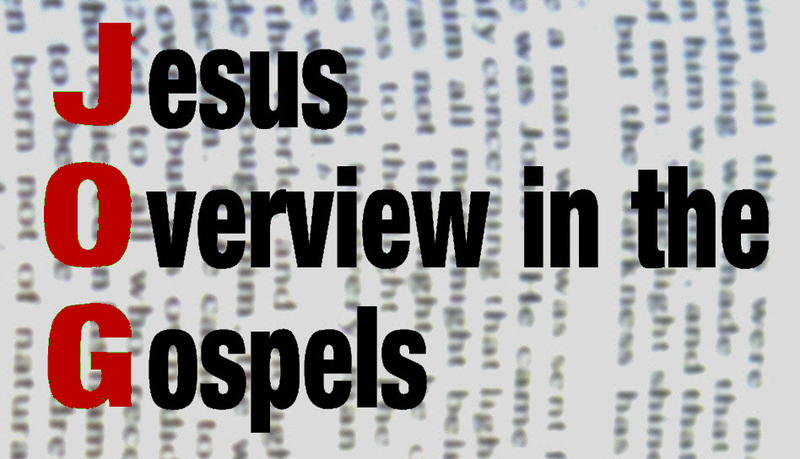 4 times in the gospels, referring to Jesus baptizing with the Holy Spirit and with fire. Acts 1v5 referring to Jesus baptism with Holy Spirit and fire. Acts 11v16 shows that Cornelius was an example of being baptized with Holy Spirit, just like the Disciples at Pentecost. 1 Corinthians 12v13 states that we are all baptized with the Holy Spirit into one body. This takes place at conversion. Some suggest however, that this is a secondary experience to gain power for service, and based on John 20v20 ‘Receive the Holy Spirit’ records the indwelling of the Holy Spirit. Acts 2 Pentecost is baptism of spiritual power. ; Acts 19v4-7 records the receiving of Holy Spirit for believers. · Jesus’ words in John 16v7 makes it clear that the Holy Spirit would not come to dwell in believers until Jesus Christ returned to the Father. Pentecost is therefore the arrival of the Holy Spirit for the first time, not a secondary experience. · Gift of the Spirit = Baptism of the Spirit (Acts 1v4-5). “Repent... and you will receive the gift (or baptism) of the Spirit, and it is therefore not conditional (Acts 2v38). 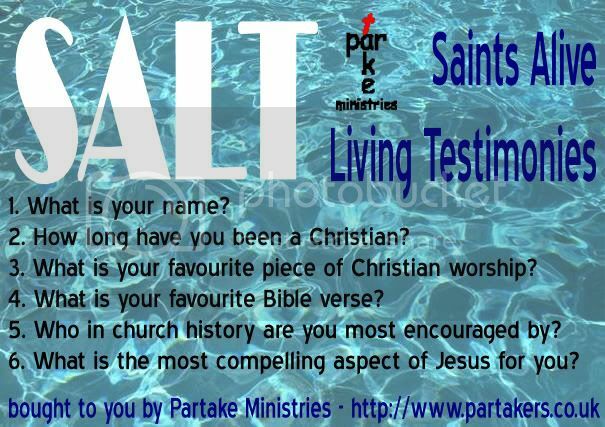 · The Samaritans (Acts 8v14-17): this instance seems to suggest believers can receive the Holy Spirit after conversion. However, they received the person of the Holy Spirit, as a Samaritan ‘Pentecost’, proving to the Jews that God would indwell the Samaritan’s. There were no Samaritans at Pentecost. 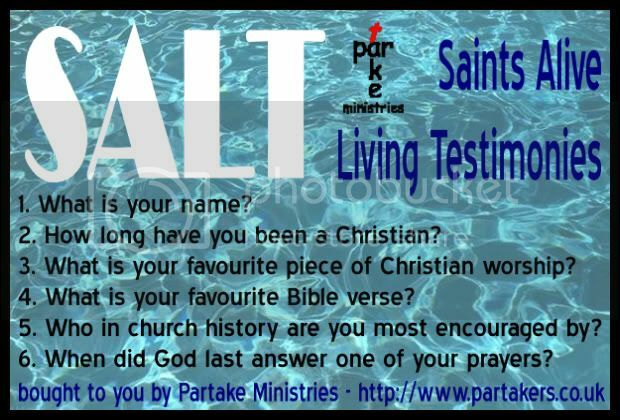 · Cornelius (Acts 11): His ‘baptism of the Spirit’, was at his conversion. 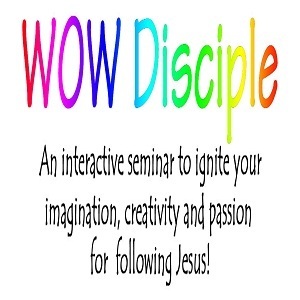 · Ephesians (Acts 19v1-7): The ‘disciples’ were disciples of John the Baptist, not Jesus. They were corrected, converted and received the Holy Spirit. God may still give signs for those who need them, but God prefers faith to signs. (John 14v11, 20, 29). Needless to say, that God still uses people on both sides of the debate – but then He can also use donkeys to do His bidding as well. How is the Spirit seen? For all the supposed miracles and healings, these are not the prima facie evidence for the work of the Holy Spirit. All those things can be counterfeited by satan (2 Thessalonians 2v9; Colossians 2v18). That is not to say that miracles and healings by God don’t occur, just that its not the main evidence of His work. The best and most assured signs are that Jesus is glorified, acknowledged, trusted and served. The Spirit’s work is in evidence, where people’s lives become more holy and more like Jesus Christ (1 Corinthians 12v3; 2 Corinthians 13v7). How does the Holy Spirit equip Christian Disciples for Service? Through the giving of spiritual gifts, and that is elsewhere on this website!. For more to think about please do read 1 Corinthians 12v1-10. Ask yourself the following questions, writing them down if you can, and see how you respond or react to them. Then why not share your answers with your spouse or a close friend, so that you can pray over any issues together. Q1. What are my spiritual gifts and am I using them for God’s glory or my own? Q2. How do I give more of myself to the Holy Spirit? Q3. 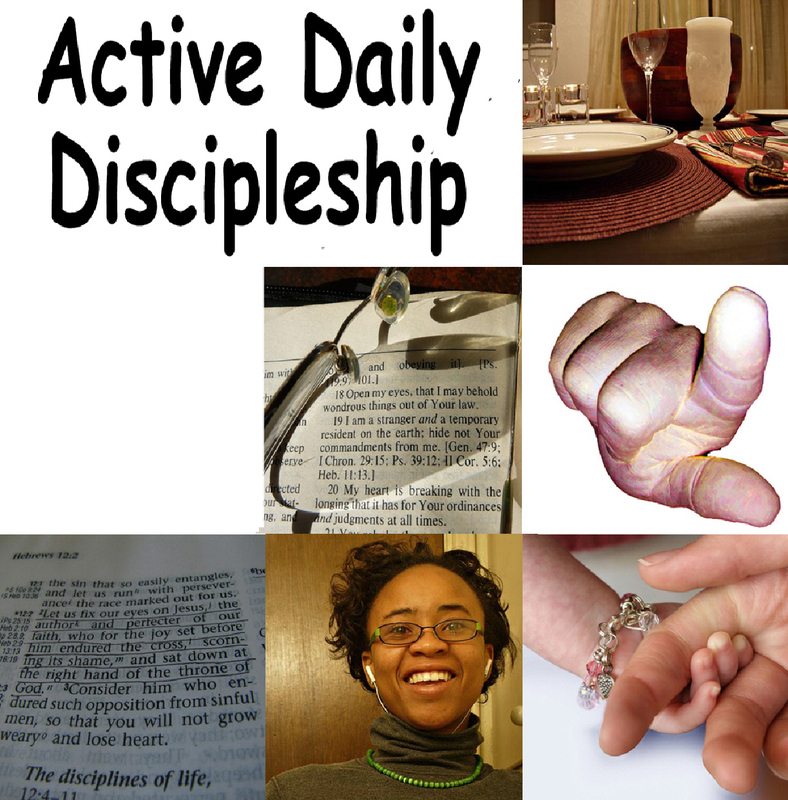 How can I as a Christian disciple make the Holy Spirit more active and visible to others? · To confirm God's promises (Genesis 3v15). · To become our high priest (Hebrews 8v1). · To become our representative before God (1 John 2v1). In this way, God himself has taken on the responsibility for our sins. Jesus, the Son of God, bore our sins on the cross, becoming sin for us, even though he was himself, sinless. By doing this, we are drawn to him in a personal way. God has shown that he loves us and wants us in a relationship with himself. Through Jesus, God has bridged the gap between the supernatural and the natural, the infinite and the finite, to show us what He is like. Jesus as God in person gives humanity a focal point to respond to. God does not compel us to love Him, but invites all to a dynamic relationship with Him. If Jesus were not God, then he would be part of the problem and therefore need to be redeemed himself! This is an untenable proposition. Jesus whilst being fully God, didn’t lose any of that divinity when he became human. Instead of losing anything, Jesus gained humanity. This divine and human nature unity is called ‘hypostatic union‘. His full glory was hidden (John 17v6). He lived on the resources of his Father (John 5v19-20 & 30, 14v10). He emptied Himself (Philippians 2v5-7) and this process is called ‘kenosis’. Surrendered the relative divine attributes (e.g. omnipotence) -->> tends to deny Jesus' deity. He gave up all of the divine attributes. --->> Rejects outright Jesus' deity. He was made like us (Philippians 2v7). God the Son, The Word, Jesus Christ became flesh (John 1v4). He was fully human and explicitly called a man (John 8v40; 1 Timothy 2v5). He was born of a woman (Galatians 4v4), so at least in a prenatal state he was nurtured and formed as any other male baby was and is. With his humanity, he exhibited normal human emotions such as love, weeping, sadness, anger and anguish. Jesus ate and drank. He had a body and a soul (Matthew 26v26-38). Jesus grew tired. He slept and perspired. He had human experiences - temptations (Hebrews 2v18); hunger (Matthew 4v12). Jesus died just as all mortal people do. Religiously, he worshipped as a Jew. He was human in every way that we are - physically, mentally and emotionally. The only exception to this is that He was sinless (2 Corinthians 5v21; Hebrews 2v26). He was the Son of Man and Son of God and did not inherit the carnal nature that all humans have. But why did Jesus need to fully human? Firstly, so Jesus death could appease God’s anger with us. Secondly so that Jesus can empathize and pray for us. Thirdly, Jesus exhibited true and perfect humanity. Fourthly, due to his perfect humanity, Jesus is to be our example to follow. Fifthly, while God is both above and beyond, the incarnation He is not so far removed from us, that He cannot interact with his creation. One of the church father’s, Anselm, wrote that God’s salvation plan for humanity involved triumphant victory over sin, death and the grave. However no person could be found that was eligible or capable to do this. Because of this, God stepped into the human history, so that this victory could be achieved. This God-man would be fully human, so as to live every feature of humanity, including suffering and death. This God-man would also need to remain fully God, so as to defeat sin, death and the grave. Jesus, being sinless, was this God-man, consisting as he did of two complete natures, the God nature and the human nature. ·Jesus is expressly called God - (John 1v1) The Word was God; (John 1v14) The Word became flesh; (John 1v18) The only begotten God; (John 20v28) My Lord and my God as declared by Thomas; (Titus 2v13) Our great God and Saviour, Jesus; (Romans 9v 5) Christ who is God overall; (Hebrews 1v8) About the Son, He says 'Your throne O God is forever and ever...’; (1 John 5v20) Jesus Christ. He is the true God and eternal life. The works of God were ascribed to Him - (Col 1v16) Creation; (John 20v28; 5v23) Receives honour worship and glory belonging to God. For more to think about please do read John 14v5-14. Ask yourself the following questions, writing them down if you can, and see how you respond or react to them. Then why not share your answers with your spouse or a close friend, so that you can pray over any issues together. Q1. How does Jesus’ relationship with the Father, reflect my relationship with God? Q2. How as a Christian disciple, do I explain to others about how to get to know God the Father? Q3. How did Jesus’ earthly life and ministry, reflect the Trinitarian relationship between Father and Son? The defining function of the Father is that He is the Almighty who intervenes, sustains and provides. This Father God is the God of Israel who did new things in His own timing for them, that they themselves could not do. At just the right time, He gave His only begotten Son. This Almighty Father can and will do all that He intends. In the Old Testament, there was a concept whereby the King of Israel was thought of as a son of God, and therefore God was a Father (Psalm 2). This however was more as a national identity rather than a personal relationship between the individual and God. Hosea 11v1 states that “when Israel was a child, I loved him, and I called my son out of Egypt”, shows that the concept of God as Father, was not entirely new by the time Jesus said to call God, "Father". By calling him Father that means that God is a personal God! He loves all of His creation and He sustains it! He wants them in a relationship with Him! As all of humanity is made in the image of God, the Fatherhood of God must apply to all humanity. God is the Father of our Spirits (Hebrews 12v9). God the Father is also the one who maintains life, He cares for each person (Matthew 18v10) and wants everyone to be in His kingdom (Luke18v16). Even when people reject Him, He still cares for them, not wanting any to perish. Jesus when teaching on prayer, said to call God, Father! From when Jesus as a twelve year old proclaimed he was about His Father’s business, to the agonising prayer of John 17 and on to the last words uttered during extreme agony on the cross, Jesus recognised God as Father when he cried out “Father, into your hands I commit my spirit” (Luke 23v46). Whatever Jesus did, who He is and what He does now, is based on the relationship with His Father. He is the Son, the Word of God who God the Father spoke, creates and bears (John 1). The words Jesus spoke were those He heard from the Father. The actions Jesus did were those He saw the Father doing (John 5v19). It is the Father that will decide when time will end! God is a Father of all Christian disciples in a way different from those who have maintained a rejection of Him. God is Father only because Jesus Christ was the Son of God (Romans 8v17; Hebrews 2v17). Because of this, Christian disciples have new life (John 3v3) and a new family (Hebrews 13v1)! Christian disciples have been adopted as heirs and as children (John 1v12). Paul in Galatians 4 states that is why God sent His son Jesus Christ – so that Christian disciples could no longer be slaves to sin, but children of righteousness an have God the Spirit dwell within them! This new life means Christian disciples have available to them the partaking of the Father’s nature! 2 Peter 1v3-4 states “By his divine power, God has given us everything we need for living a godly life. We have received all of this by coming to know him, the one who called us to himself by means of his marvellous glory and excellence. And because of His glory and excellence, he has given us great and precious promises. These are the promises that enable you to share his divine nature and escape the world’s corruption caused by human desires.” When was the last time you as a Christian disciple asked God to keep His promises made concerning you? As well as this, the Father both cares for His children (Matthew 6v32) and disciplines His children (Hebrews 12v6-8). God disciplines His children and “It is painful.” (Hebrews 12v11) Therefore if we are Christians, and we have non-repented and habitual sin, God will discipline (Hebrews 12v10). If we sin and are not disciplined, then we are not His children (Hebrews 12v8). Christian disciples have this new and new family because we have a new standing before Him, through our belief in His Son, Jesus Christ! While all humanity are His offspring (Acts 17v28-29), Christian disciples are more! Christian disciples are sons and daughters of the living God, and His heirs (Romans 8v17)! Whereas those of humanity, who continue to reject Him, are still under His condemnation before Him as Judge (Revelation 20v11), the Christian disciple is free from condemnation and has the legal status and privilege of being called His sons and daughters! That is one reason we are to tell others about this God we serve! Christian disciples are no longer separated from the love of God, and never can be (Romans 8v39). We may forsake Him, but the Father never forsakes us. That we are to call God, Father when we pray, signifies that the God we serve as Christian disciples, calls us into relationship and that He is personal. When we pray, we are to be intimate with Him, as a child with their earthly father. For more to think about please do read Romans 8v12-25. Ask yourself the following questions, writing them down if you can, and see how you respond or react to them. Then why not share your answers with your spouse or a close friend, so that you can pray over any issues together. Q1. Why can only Christian disciples call God, “Father”? Q2. How as co-heirs with Christ, are we to react to sufferings? Q3. How can we as Christian disciples, “wait patiently”? When Jesus said to His apostles “I tell you the truth, anyone who has faith in me will do what I have been doing. He will do even greater things than these, because I am going to the Father.” (John 14v12), it was through the promised Holy Spirit (John 14v17), and impartment of Spiritual Gifts, that His words were fulfilled. Spiritual Gifts derives from the Greek word Charismata. They are also called grace gifts, which may refer to any gift God gives out of the abundance of His grace and are given to all Christians as God sees fit (1 Corinthians 12v11). There are four main passages in the New Testament regarding Spiritual Gifts. These are Romans 12v3-8; 1 Corinthians 12v1-10, 28-31; Ephesians 4v11-12 and 1 Peter 4v10-11. The lists of gifts, given in the New Testament are representative of spiritual gifts and are not to be taken as a conclusive listing. The gifts quoted in various passages of the New Testament are: “administration, apostle, discernment, evangelism, exhortation giving, faith, healing, helps, knowledge, leadership, mercy, miracles, pastor, prophecy, service, teaching, tongues, tongues interpretation, wisdom.” As Christian disciples however, Paul commands that “try to excel in gifts that build up the church.” (1 Corinthians 14v12). When the church is built up, unity will inevitably prevail. The diversity of Spiritual gifts within each local church, helps build unity. 2. Who has spiritual gifts? All Christian Disciples have Spiritual Gifts, for “in his grace, God has given us different gifts for doing certain things well.” (Romans 12v6). God the Holy Spirit, through His infinite wisdom, mercy and grace bestows these gifts that belong to Him, upon His servants, Christian disciples, and these gifts are to be used primarily to bring glory to Him! (1 Peter 4v11). They are opportunities for Christian disciples to serve other people. Some gifts like teaching, helping or leadership quite possibly are enhancements of natural abilities whilst others like faith, healing and miracles are from the Spirit’s empowerment alone. 3. The purpose of spiritual gifts? The reason that the Holy Spirit imparts spiritual gifts to Christian disciples is so that the body of Christ is built up (Ephesians 4v12), for the common good of the church (1 Corinthians 12v7, 14v12) and “so that in all things God may be praised through Jesus Christ.” (1 Peter 4v12). These three reasons signify that God wants Christian disciples to be active in service and not still like stagnant water. That is why we have been given gifts. If these gifts are not used for God’s purposes, then they are meaningless. So, what is an appropriate response by Christian disciples in relation to these gifts? 4. How does a Christian disciple discover their Spiritual Gifts? As the Bible is primary to spiritual growth and understanding, the Christian disciple needs to study God’s word diligently, enhancing the relationship and building bonds. Then the Christian disciple needs to pray and ask in deep prayer and cogitation. Thirdly by asking the advice and wisdom of the leaders in the church we attend or from friends who know you well. Lastly, it is also through asking questions of your self. What do I enjoy? What am I good at? If God blesses what you are doing and it is fruitful, you may have discovered an area where your gifting lies! For more to think about please do read Romans 12v3-8. Ask yourself the following questions, writing them down if you can, and see how you respond or react to them. Then why not share your answers with your spouse or a close friend, so that you can pray over any issues together. Q1. What are my spiritual gifts and how did I discern what they are? Q2. What relationship does God’s grace have to do with my spiritual gifts? Q3. Have I ever thanked God for the spiritual gifts He gave me and asked Him to help me develop them and for opportunities to use them?